The coolest food crawl I've been to yet! 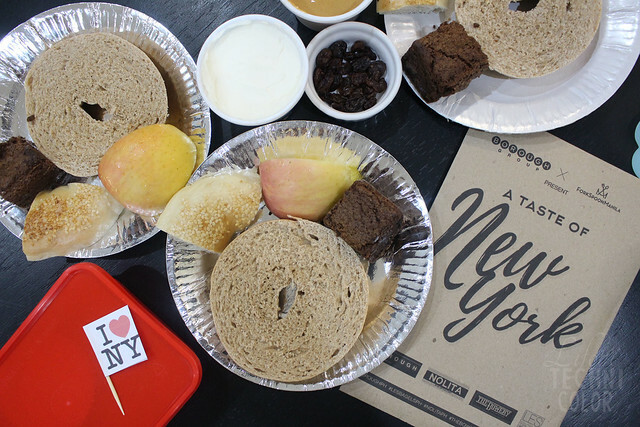 The Borough Group is known for bringing concepts that provide authentic New York experiences to Manila like L.E.S. 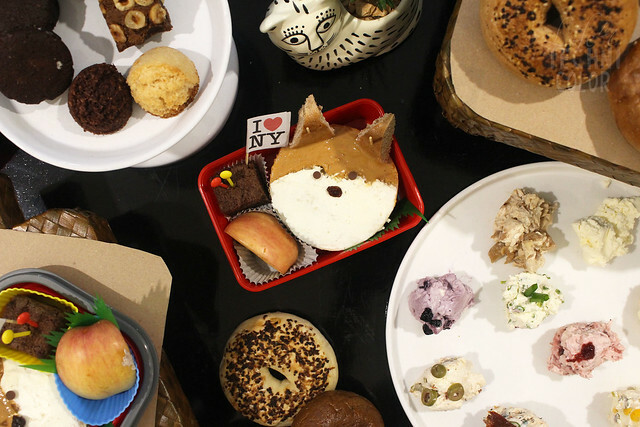 Bagels, Borough, Nolita, Lucky Chick, and The Bowery. During my last visit to these restaurants, I discovered that they don’t only offer dishes inspired by the Big Apple, but the group also partners with various individuals and organizations to hold all sorts of activities in their restaurants - from bento-making workshops, stand-up comedy, whiskey appreciation evenings, and more. L.E.S. 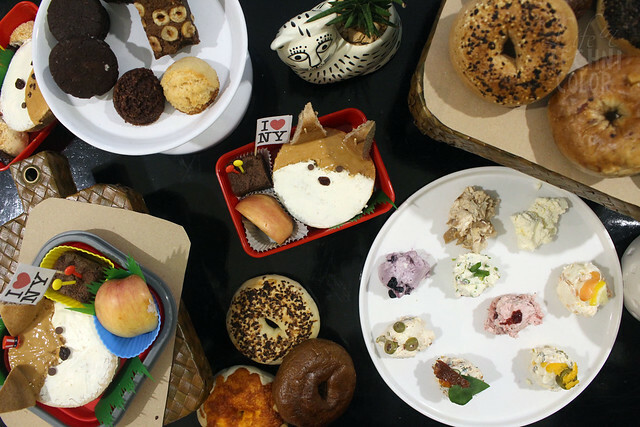 (Lower East Side) Bagels is all about the bagels, breads, and coffee. 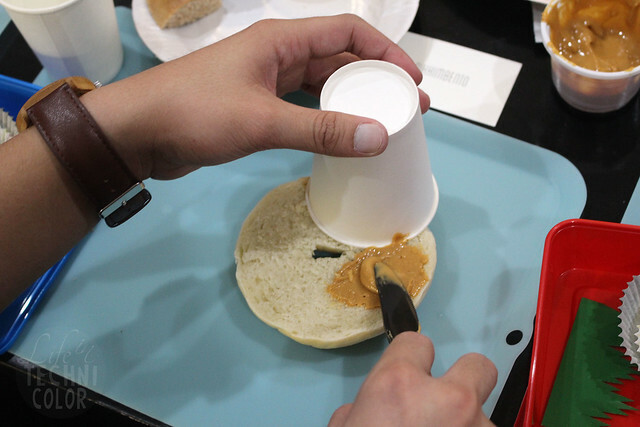 They serve bagels baked fresh on site, to be enjoyed with their cream cheese spreads. Bagels here run the gamut from Plain, Sesame, Black Sesame, Poppy, Salt, Pumpernickel, Whole Wheat, Garlic, Onion, Everything, Whole Wheat Everything, and Cinnamon Raisin. You can have your bagel as is, or top it with a generous slab of flavored cream cheese such as Sundried Tomato and Olive, Garlic and Chives, Caramelized Onion, and Blueberry. 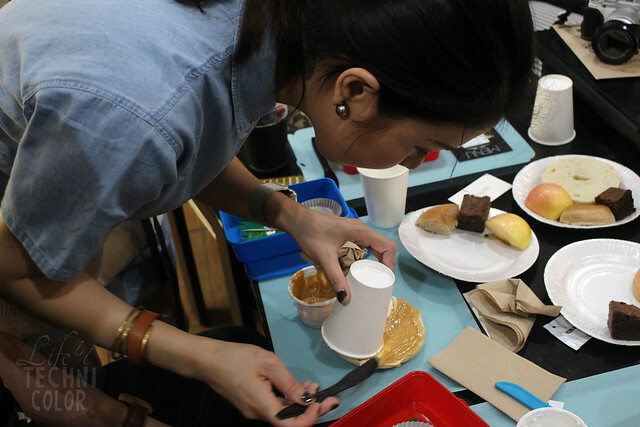 The Bento-Making Workshop at L.E.S. Bagels was headed by Nikki Garcia (@nikkimbento on Instagram). 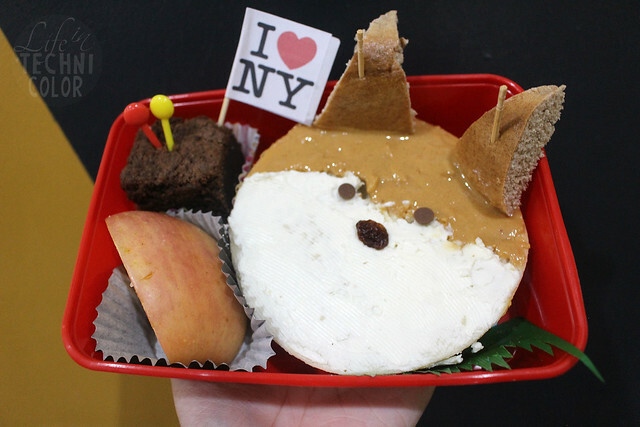 She started making bento boxes for her kids last August because, like most moms, she faces the difficulties of having to feed kids who are picky eaters on a daily basis. 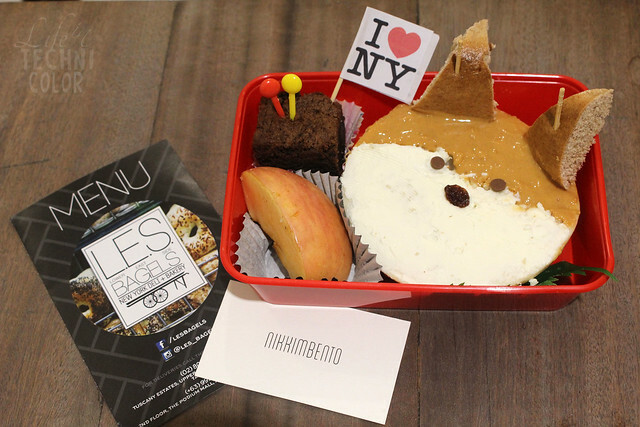 Nikki thought of creating bento boxes as a way to encourage them to eat more, and guess what? It worked! 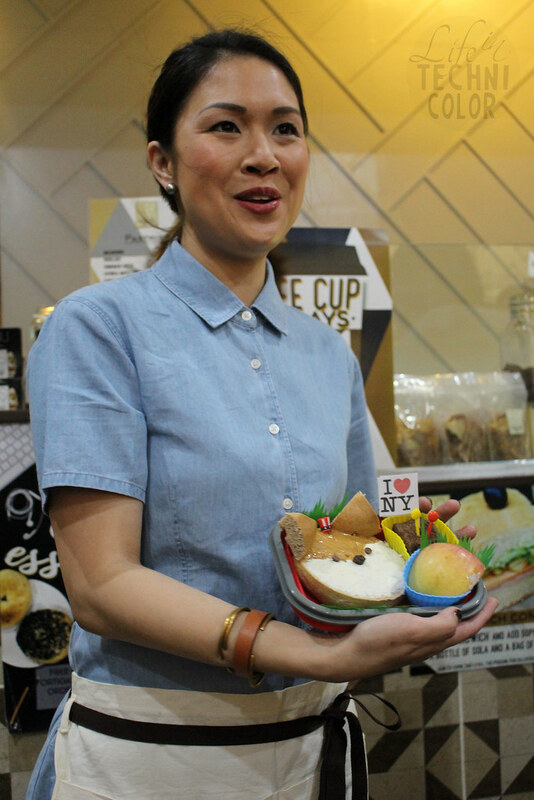 Since then, Nikki has been holding bento-making demos and workshops not only for moms, but also for events such as private parties, bridal showers, etc. 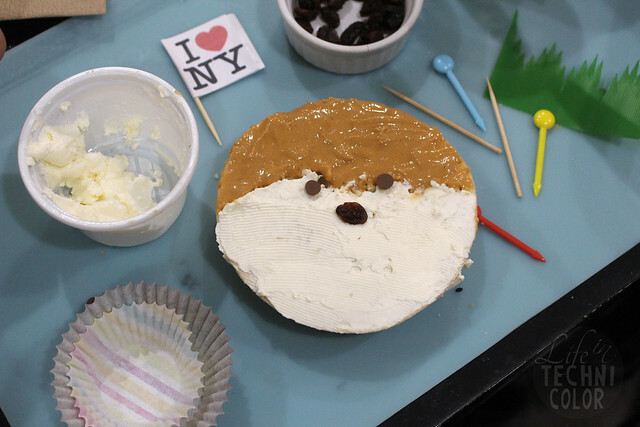 That day, Nikki taught us how to make an American Red Fox using bagels as well as some everyday ingredients like cream cheese, peanut butter, chocolate chips, and raisins. 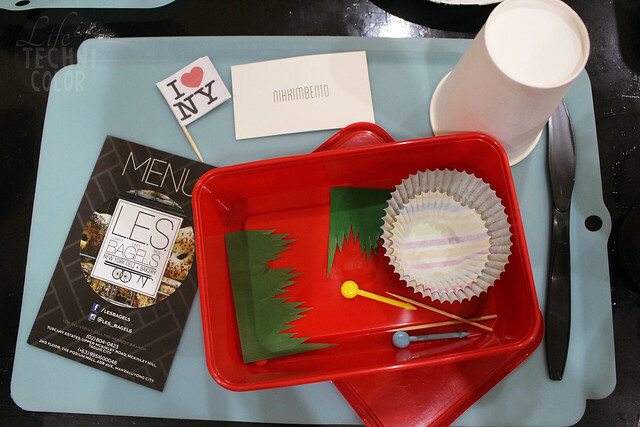 Aside from that, she also gave us cupcake liners, bento grass, and toothpicks to use as props. Nikki guided us every step of the way and made sure that we successfully created our own American Red Foxes. Here's how mine looked like after some peanut butter and cream cheese, I then used chocolate chips for the eyes, and a raisin for the nose. 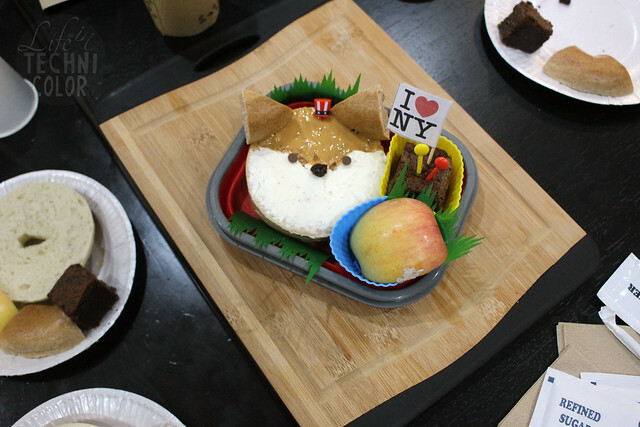 With Nikki’s help, we were able to create our own versions of the American Red Fox with a side of apple and brownie. Coming up with a whole new design is another thing though. You really have to be creative and find ways to utilize items that can usually be found in the kitchen (of course, having healthy items like fruits and vegetables in the bento is important too). L.E.S. 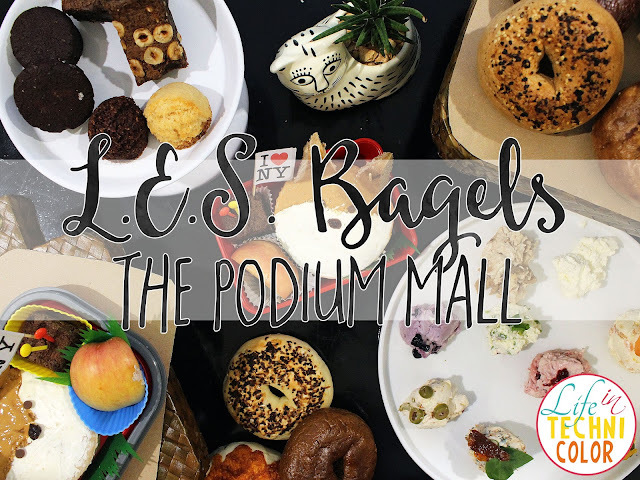 Bagels is located at Tuscany Hill at Fort Bonifacio and The Podium Mall in Mandaluyong. Follow and like their pages on Facebook (L.E.S. Bagels) and Instagram (@les_bagels) to be in the loop on future activities and events!